Holy Toledo Blades! These movies are long! And WTF? That was so not in the book. Neither was that! Or that! Or what? What is THAT?! Why?!??!?! The movies are pretty. I liked the White Council and Tauriel additions. Smaug looks like a T-Rex and sounds awesome. I’d write more but I don’t want my review to be as long as either movie. 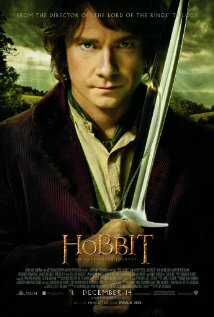 The Hobbit: An Unexpected Journey poster. 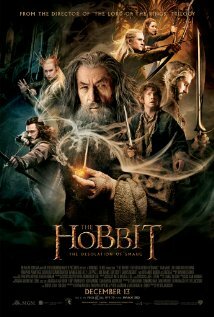 The Hobbit: The Desolation of Smaug movie poster.